The Dragon expert auto trader boldly claims that its clients can now earn from 60% and in excess of 100% using their trading system to execute trades. 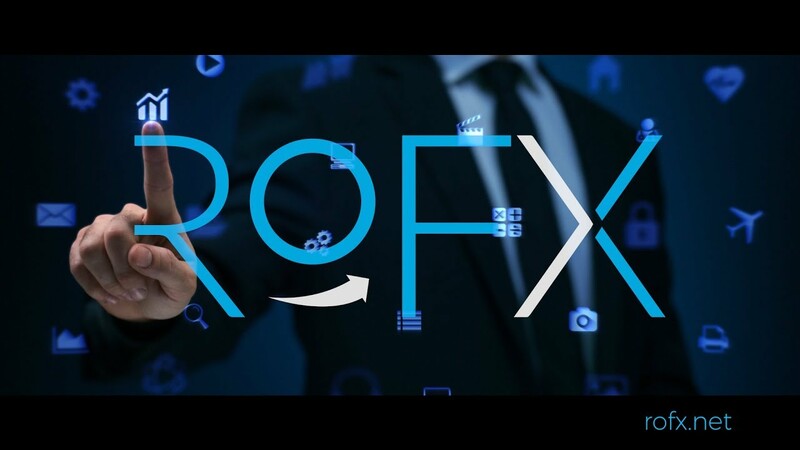 Referring to their expert adviser as the “Best forex robot that is dominating market charts” it goes on to describe a host of features contributing to this phenomenal performance. While the promise of watching “profit flow into your account” for using the trading system and elaborate explanation of its features may draw temptation, a few reasons for caution snort out. Its vendor, for instance, chooses to remain anonymous. Plus they use a fictitious CEO’s name. But we still have to look deeper into its operations and online presence if we are to fully vet its legitimacy. What is the trading strategy used by Dragon expert? Dragon expert developers vaguely refer to their strategy as ‘legendary trading strategy’ that tracks chart prices and analyses this data in real time to determine entry and exit points. They further state they use an ‘advanced correlation algorithm’ that matches currency pairs before hedging them against each other. This is a classical martingale trading strategy. Martingale has its greatest strengths on its ability to trade full time and execute hedge against almost every open trade. Its greatest drawdown, however, lies in its lack of a solid risk management feature where an open trade will only be closed by a counter trader upon price change. 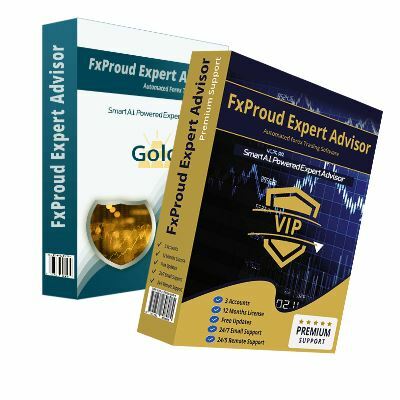 Additionally, unlike most algorithmic trading developers who fill up their websites with unverifiable backtest result information, Dragon Expert EA offers freely downloadable system. Apparently, the free version of Dragon Expert has no expiry and can be used to open as many demo accounts as possible. This implies that instead of feeding you with information about their backtest performances, they give you a free demo account that you can use to test the trading system’s effectiveness in real time. Dragon Expert EA developers maintain a $4769 using the trading system whose trading history is available on Myfxbook. 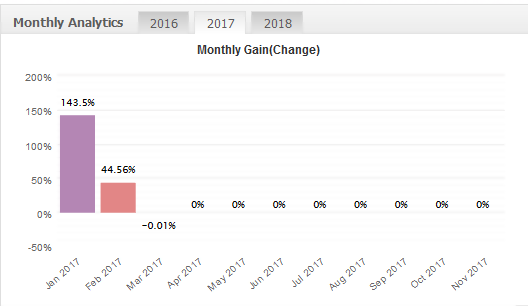 Opened in March 2019, the account has reported an absolute gain of 55.34% and a maximum drawdown of 26.49% in its first month of trading. This translates to an average daily and monthly performance of 1.53% and 55.49% respectively. The performance falls below the 60% monthly profit guaranteed by the company website. You also can’t help but notice the huge drawdown your trades will be exposed to by such an aggressive trading strategy. The positive and more than average positive gain may, however, convince to look the way, as long it lasts. Hassle-free set up: According to Dragon Expert EA developer website, the trading system operates on “default optimized settings” and doesn’t need the trader’s input. It is also compatible with any broker operating on the Metatrader 4 platform. Hedging reduces the impact of drawdowns: Dragon Expert EA’s trading system embraces hedging. This implies that for every currency pair the system goes long on, it goes short on a correlated trade. Aggressive traders have in numerous cases expressed their views against this strategy arguing that the hedge eats into the takeaway profits. 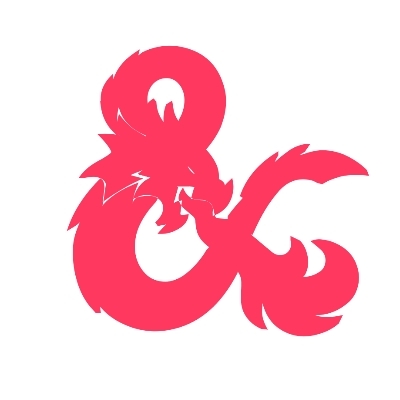 Dragon Expert, on the other hand, seeks to exploit its ability to minimize drawdown and excessive loses in the case of adverse price movements. Stealth mode: Dragon Expert claims that the advanced technology used to design the trading system allows it to operate in stealth mode. To achieve this they claim to have embraced three key features that include the broker’s shield, undetectable robot trade, and hidden take profit and stop loss levels. The developers argue that this allows their system to operate in the background while ensuring the markets treat it like a human, and not a robot, trader and hide your trade information from your broker and effectively preventing them betting against your trade. Hidden trading history: The trader isn’t just secretive in maintaining their identity. There are also several irregularities in updating the trading history of their Demo accounts maintained on Myfxbook, given the huge role they play in advancing the 100%++ guaranteed profit narrative. You will note that updating the trading history of these Demo accounts stops as soon as they post inverted (negative) gains. Expensive: It may be free to open a free demo account with Dragon Expert. You will, however, need upwards of $888 if you hope to reap maximally from all its benefits of unlimited real accounts and no broker limitation. A trader may consider this relatively expensive, especially considering that the trading system is relatively new and lacks a solid performance record safe for the one that it performed below its developer’s expectations. The absence of a hard stop loss: Such an aggressive strategy without a hard stop loss feature puts a trader’s account and capital at a huge disadvantage. A significant adverse market turn could easily blow the account or eat the better part of their investment rendering its maintenance unprofitable. Dragon Expert auto trader promises to make a trader 100%++ monthly profits. Its developers go ahead and illustrate the trading strategy they intend to use to achieve this and back it up with trading history for their Real and demo accounts. Examining these promises and guarantees, you will come across some areas of concern that should make you want to rethink your decision of investing in the trading system. First off, they use a fake identity for their CEO, misinformation about their demo accounts performance by stopping updates when monthly performance goes below zero and uses an aggressive strategy that’s only favorable for aggressive traders. For these reasons, we don’t trust the system fully and award it a score of 6, out of the possible 10.